There are no longer any lamingtons in the cake display, and flat whites are off the list at Toby’s Estate. It is some time since I visited Toby’s first foray into NYC in Williamsburg and found these vestiges of home. 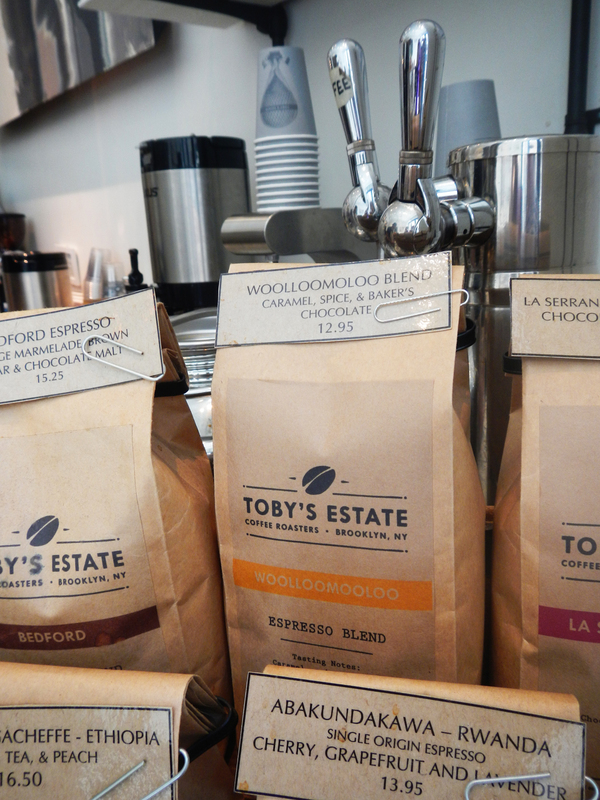 But the only connection to the origins of Toby in his new spot on Fifth Avenue, is a blend of coffee called ‘Woolloomooloo’. There is also a single origin bean called ‘Abakundakawa’ and another called ‘Borboya Yirgacheffe’, so spelling bees and sentimental blokes will have their hands full. Toby’s literally joins Strand Books as tenants of Club Monaco in the Flatiron District, so you can ponder over that potential purchase of apparel with a strong coffee and advice, appropriately, from the economic or the fashion sections. Either way you can’t lose. 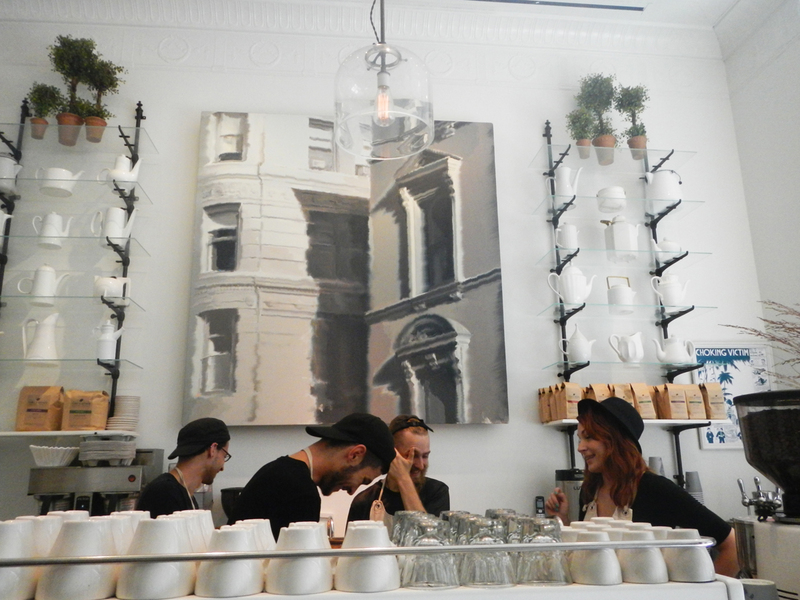 The staff are definitely Brooklyn, but the style of coffee is unmistakably Australian. 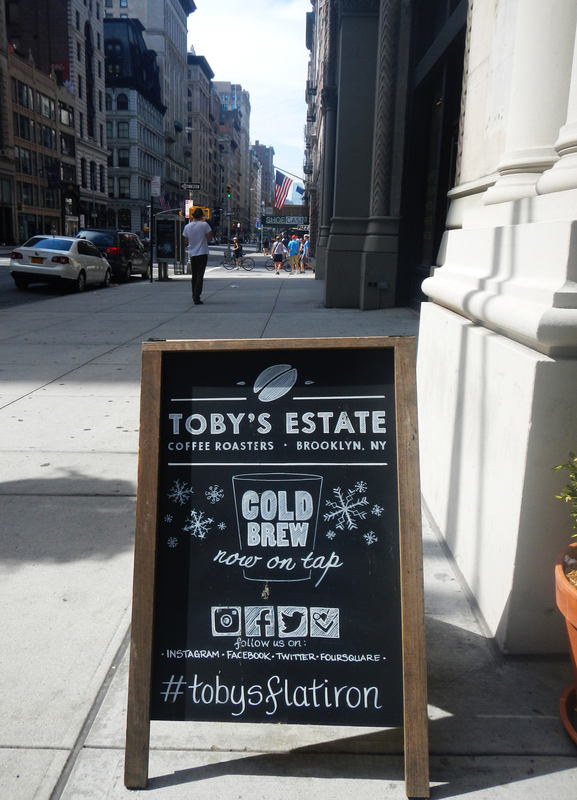 This entry was posted in coffee, Uncategorized and tagged coffee NYC, Toby's Estate. Bookmark the permalink.